We analyse and define your unique needs as a language learner and as a professional, and we respond to them. 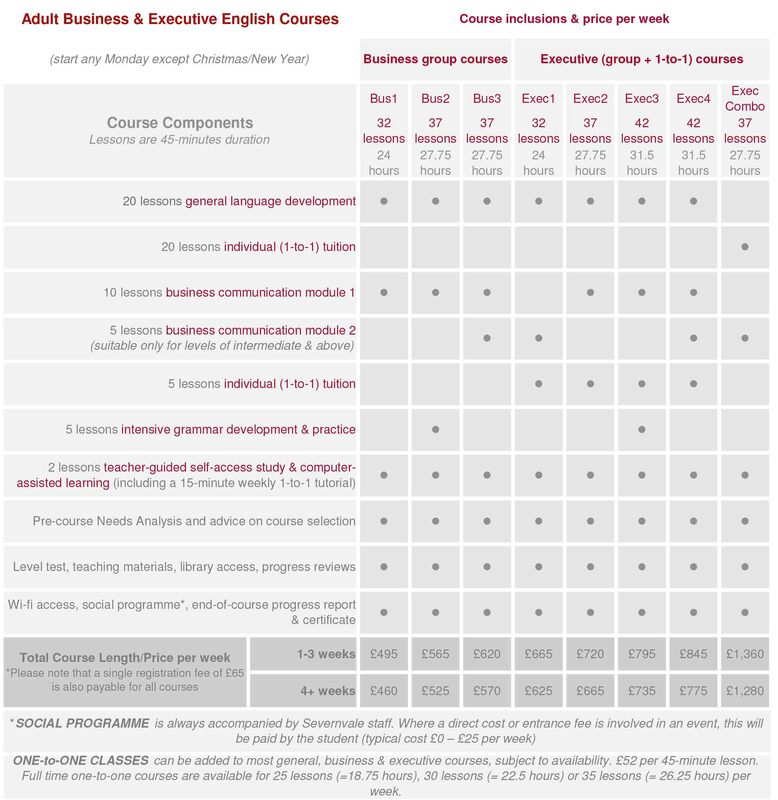 Courses Bus1, Bus2, Exec2 and Exec3 are perfect for improving your English for a wide range of professional situations – you select the course intensity and balance of course modules to suit your specific requirements, based entirely on mini-group tuition or with a substantial element of 1-to-1 tuition. With over 20 years’ experience training corporate personnel from hundreds of companies worldwide, we have expertise in teaching people from:- law firms; banking & finance; airports & air navigation; telecommunications; retail; wholesale, distribution & logistics; transport; engineering; international trade; import/export & shipping; automotive & steel industries; dairy, confectionery and food production; public services; utility regulatory bodies; and many other areas. Course B3 and the Executive courses are appropriate if your needs relate directly to your professional area. We can help you prepare for a particular presentation, negotiation, conference or interview. The Executive English courses are ideal for these purposes – individual attention from your tutors is vital to the successful development of your project, while the group lessons develop your overall communicative ability for a wider range of business situations. Please note that a higher level of English is required for this module, so the courses which include it are limited to English levels of Intermediate and above.